As many of you know, I'm working with Seventh Generation to help spread the word about their Toxin Freedom Fighters Campaign (and well, their general awesomeness). 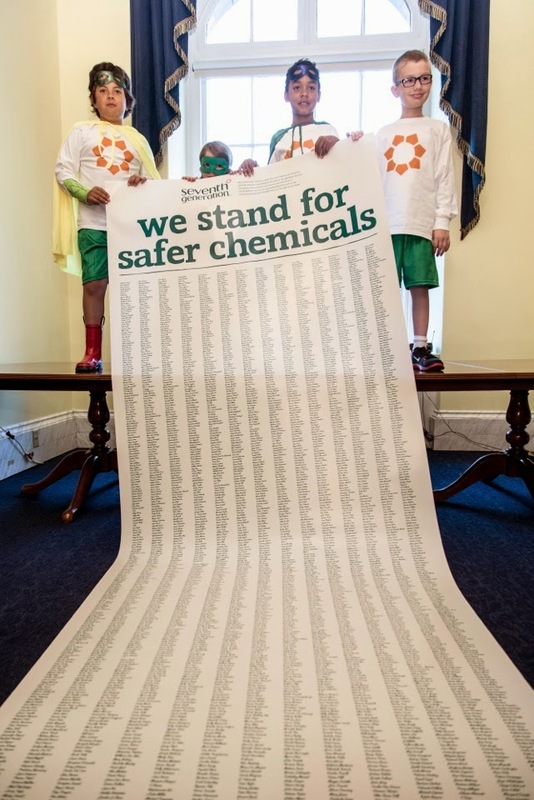 Here's some exciting news -- not only did they receive their goal of 100,000 signatures on a petition to Congress for safer chemicals... but they EXCEEDED it by over 20,000 (and the list continues to grow)! Incredible. 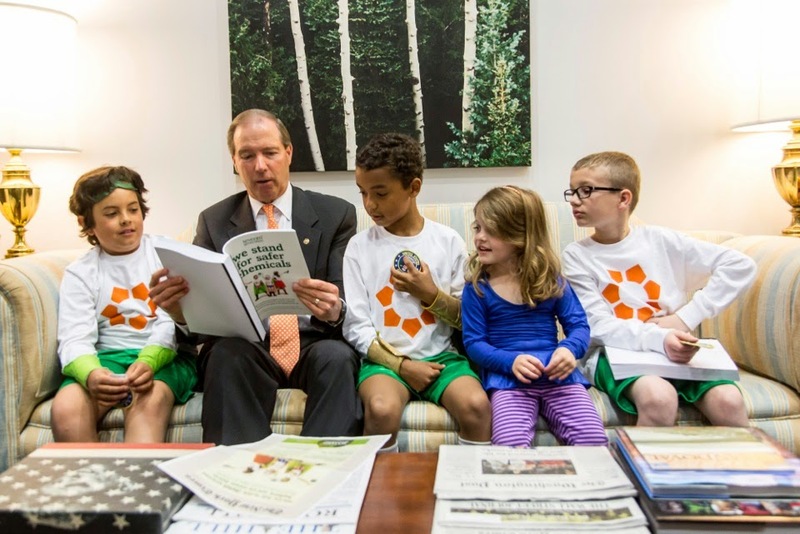 Yesterday, representatives from Seventh Generation and the Toxin Freedom Fighters visited Congress to present their petition for chemical reform -- to demand that Congress "clean up" the Toxic Substances Control Act and pass stronger laws to protect the health of all Americans. Simply put, we want to hold companies responsible for the safety of the ingredients in their products. John Replogle, CEO and President of Seventh Generation, writes, "As business leader, a father, and an American, I will not sit back and allow thousands of unregulated chemicals to unknowingly poison our families, our homes, and the environment. Over 120,000 Americans agree that Congress must act to protect our families." I'm especially proud that my state's senator, Kirsten Gillibrand, was able to meet with Seventh Generation. I'm a big fan of hers and I hope that she and the other senators will put this on the forefront of their agendas, because we've already taken the first step. If you'd still like to sign the petition for safer chemicals, you can do that HERE. 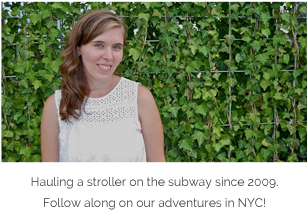 So proud to be a part of this campaign.